Finish the single player campaign. Destroy the airbase headquarters during the Hawaii mission before the reinforcements are called in. Destroy the convoy with military resources during the mission in the USA. Build all types of towers in one mission. Start a mission with your ship fully upgraded. Finish a mission with less than 10% core integrity. Finish a mission with 100% core integrity. Finish a mission without dying even once. Finish all missions with at least a silver trophy. Finish all missions with a gold trophy. Create a 1200 meters long path for enemies during the Canada mission. Destroy the boss in the South Africa mission. Destroy the boss in the Germany mission. Destroy the boss in the Russia mission. Destroy the boss in the Japan mission. Destroy 5000 enemy ground units in the single player campaign. Destroy 6000 enemy ground units in the co-op campaign. Destroy 17500 enemy ground units in the single player campaign. Destroy 20000 enemy ground units in the co-op campaign. Destroy 2500 enemy air units in the single player campaign. Destroy 3000 enemy air units in the co-op campaign. Destroy 10000 enemy air units in the single player campaign. Destroy 12000 enemy air units in the co-op campaign. Destroy 2000 objects in the single player campaign. Destroy 2500 objects in the co-op campaign. Destroy 5000 objects in the single player campaign. Destroy 6000 objects in the co-op campaign. Earn your first medal in Survival Mode. It is easier than it looks. Earn 7 bronze medals in Survival Mode. I am getting better at this. Earn 5 silver medals in Survival Mode. Earn 3 gold medals in Survival Mode. Destroy 5000 enemy units in Survival Mode. They are not good enough for me. Destroy 10000 enemy units in Survival Mode. 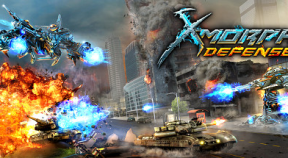 Destroy 20000 enemy units in Survival Mode. Survive wave 5 in Survival Mode. Survive wave 10 in Survival Mode. Survive wave 15 in Survival Mode.